Diamond Select Toys will be releasing a Marvel Select Barbarian Hulk figure. Toyark Sponsor Big Bad Toy Store has a Pre-Order listed for the figure. It’s scheduled for release in December at a price of $19.99. A Diamond Select Release! Sculpted by Jean St. Jean! What’s better than a giant Hulk figure? A giant barbarian Hulk figure! 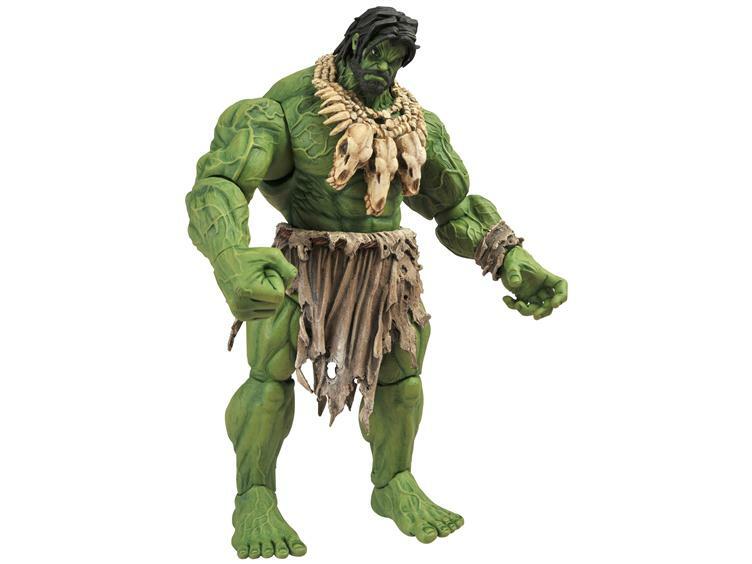 Based on his recent look in the pages of Marvel’s Incredible Hulk comics, Diamond Select Toys is offering a new, massive Hulk figure with long hair, a loincloth and a necklace of skulls! It’s the Hulk figure you never knew you wanted! This entirely new sculpt stands nearly 10 inches tall with 16 points of articulation, and is ready to fight your other Hulk toys for prime placement in your collection. Comes ready to display in oversized collector packaging. Discuss on the Toyark Forums› Views: 6748 › Credit: ludovicotek of the Toyark Forums! Not sure if this has been posted on here already but this is the first I've heard about it. Diamond Select is releasing a Barbarian Hulk figure. BBTS has the pre-order. Ships in December. Marvel Select sure does love Hulk. 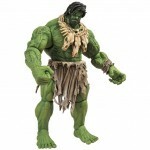 Kind of weird that they just didn't use the new Avengers Hulk body... it is a much better mold than this one. Hell if they made new bigger biceps for the MS Avengers Hulk it would be damn near perfect. Of course this looks to me from the new Incredible Hulk comic which I hate.... and that is coming from a huge Hulk fan. Looks pretty good. I might have to pick this up. He looks badass. I think it'll be a maybe on my list. And also this might be a cool custom for Skaar. I just pre-orderd one. I actually want him because I think he'll fit in well with my MOTUC collection. They do Hulk well, especially when it comes to being oversized and with their limited poa allowed it works well for hulk. This looks pretty good, reminds me of Skarr. I'm getting one of these. It's too bad they couldn't have used articulation similar to the movie Hulk they just put out, other than his hips it was pretty close to perfect IMO. I MUST GET THIS! Just awesome. It definitely looks cool though him with a beard is throwing me off.